Vitamins & MineralsScitec Essentials Daily Vita-Min - 90 tabl. 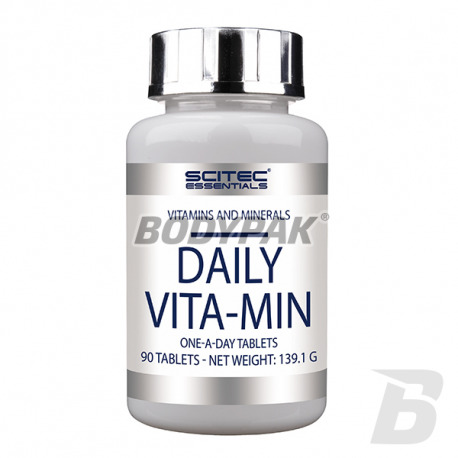 Scitec Essentials Daily Vita-Min - 90 tabl. Daily Vita-Min to preparat typu A-Z, czyli kompozycja witamin i minerałów wzbogacona o beta-karoten. Scitec Daily Vita - Min is a set of carefully selected vitamins and minerals, designed for people who care about their health. 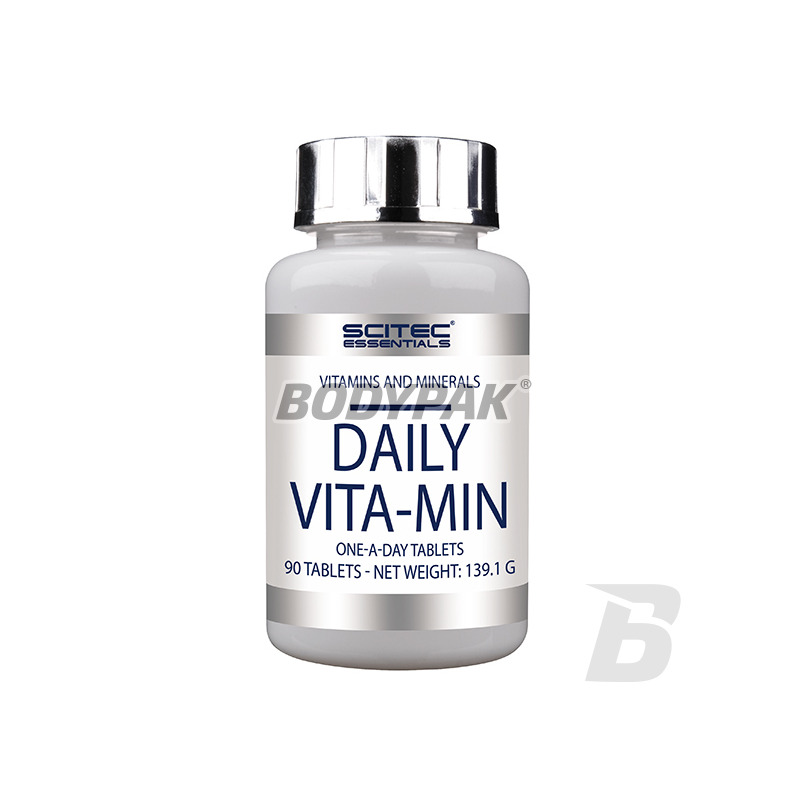 Scitec Daily Vita-Min is a modern multimineral designed for all active people. Daily Vita-Min have been developed based on the latest scientific achievements. Ingredients: Calcium carbonate, l-ascorbic acid, magnesium oxide, zinc sulphate heptahydrate, DL-alpha tocopheryl acetate, iron (II) fumarate, sodium selenate, d-biotin, nicotinic acid amide, Cholecalciferol, stabilizer (polyvinyl alcohol), anti-caking agents (fatty acid magnesium salts, talc), retinyl acetate, thiamine mononitrate, pyridoxine hydrochloride, calcium D-pantothenate, silicon dioxide dyes, riboflavin, inositol, humectant Copper (II) pentahydrate sulphate, manganese sulfate monohydrate, pteroylmonoglutamic acid, potassium iodide, chromium (III) picolinate, rutin, rose canola extract (Rosa canina, 10: 1), sodium molybdate, cyanocobalamin .